Came in time as everyone says the air bubble inside. Not yet. Bonus adapter did not understand yet where to poke it. 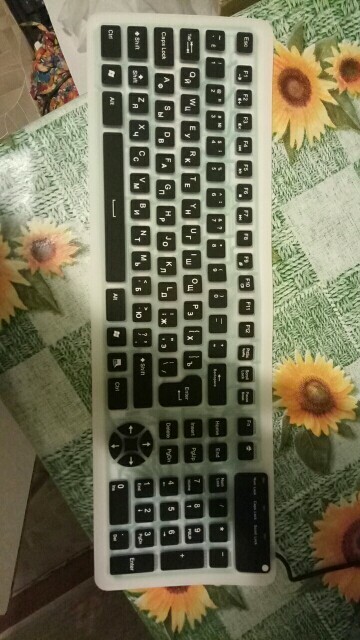 Air bubble is missing, the buttons react perfectly, good keyboard. 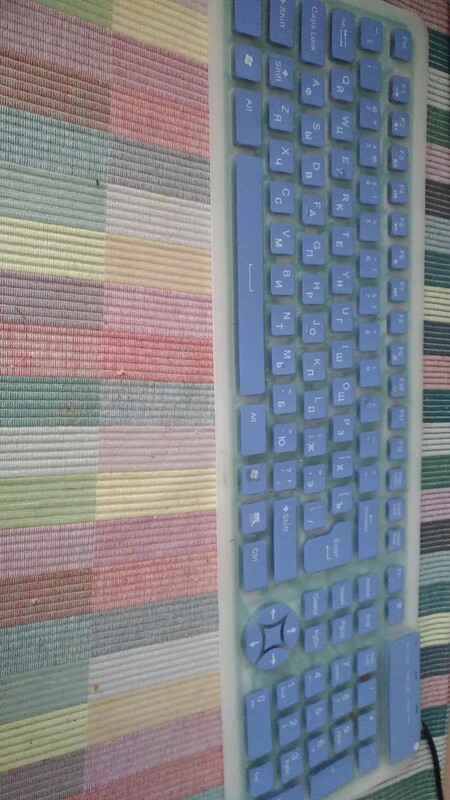 Excellent, really noiseless keyboard, can be washed)) buttons are soft, nice to work. Cord 1,5 meters. Size 13 cm by 40. A little more would, but when you get used to it, and the norms. It was 20 days before maikop, it's fast. Packing sooo reliable. Bubble in the middle of the keyboard, as everyone writes, hope to settle down. As a gift, apparently, the seller put 2 velcro cord holders. If it breaks while you can leave a second review-then i will write. Best seller!! If something is wrong-write to him before opening a dispute! Came to novosibirsk very quickly. We work, all buttons, even could connect to the laptop with os xp. I recommend unequivocally. 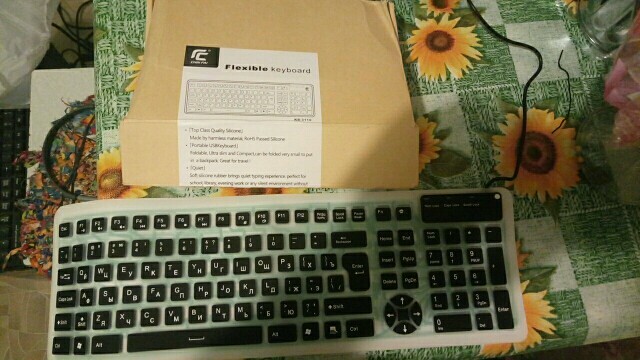 The keyboard is beautiful! Buttons are comfortable, very easy to press! Twice do not stock, that is, it is pressed exactly the letter that was pressed. Completely silent, which is also an undoubted plus. The space takes up little, compact. Slightly surprised by the second shift (located next to the left). 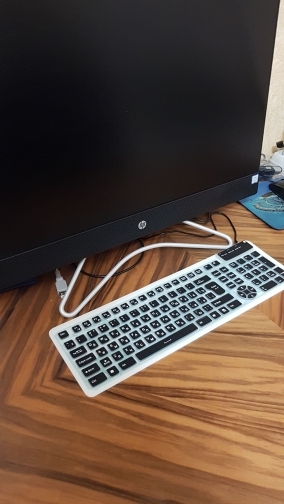 The keyboard "reached" slightly wrinkled, but i think it will straighten out on a flat table. Very convenient joystick-instead of ordinary arrow keys. Happy. I recommend to order. Seller thanks! 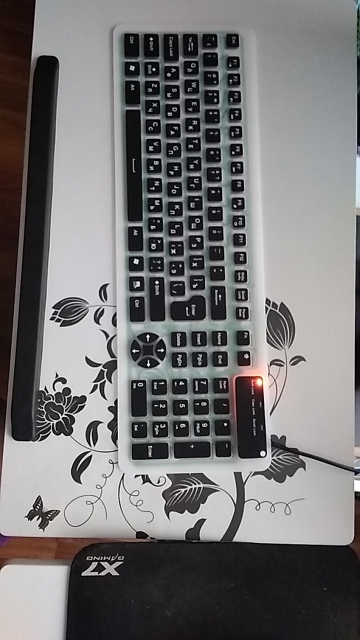 After 4 months, the buttons "f2, 3, y, b, c" stopped working. 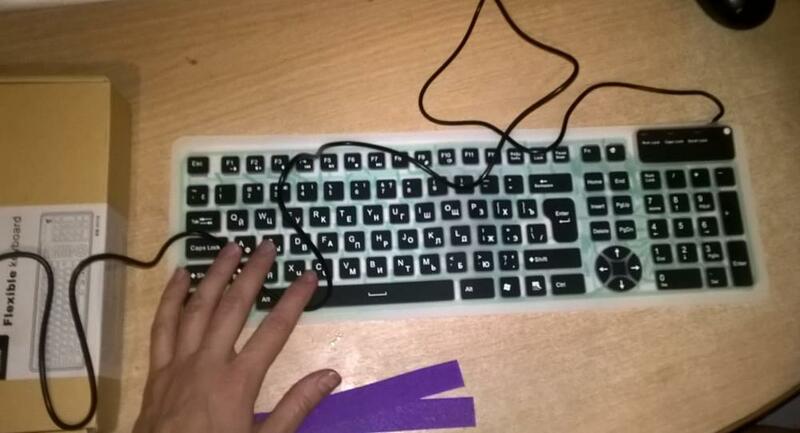 This is a very small life of the keyboard. I'm not happy. I will return. Funny, thin, noiseless. Everything is clearly visible. Even to the touch is pleasant. There is a little annoying bright bulbs num lock and so on, but tolerable. Seller thanks! Well packed goods, in working condition!